Goodness I’m so glad January is over. It’s normally a very quiet time after the busyness of Christmas, but this year was pretty busy, as I took part in various projects. You can beat the January blues by doing something fun each day. 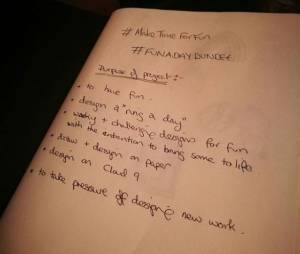 The Fun A Day project started in Dundee 3 years ago, as a way to encourage artists to keep each other motivated during the month of January. The aim is to allow yourself to have a little bit of fun each day by doing something you love, find enjoyable or makes you happy. 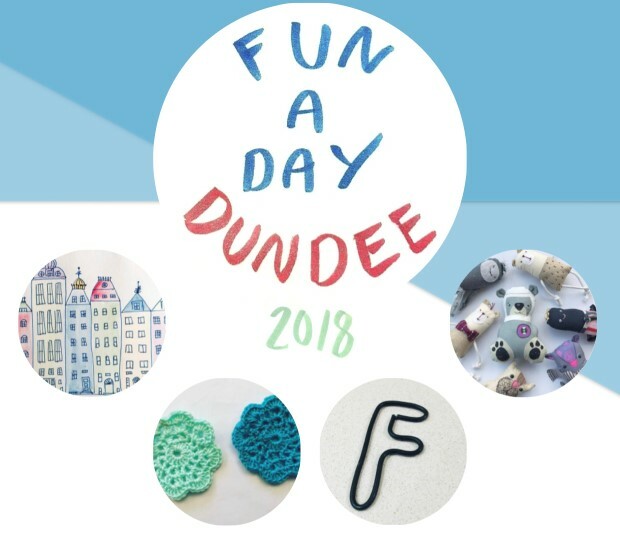 Then take a picture of it, share on social media using the #funadaydundee and connect with each other. I don’t know about you, but I really hate January. It’s a long, cold, dark, quiet, depressing month and I find it very hard to keep motivated after the hecticness of Christmas and the stress of starting a new year afresh! So taking part in Fun A Day Dundee 2018 for me was the best thing for me to do. I’ve been working as a jeweller, running my business for 11 years now and it gets very isolating working on your own. I get tided into doing things that I have to do to make money and have been focusing on making commercial pieces of jewellery. So my project for the Fun A Day was to design a ring a day. It was great excuse for me to allow myself to get back into designing and making some really unusual statement rings that I’ve been wanting to make for ages. When designing I always need a purpose or a brief to give me a focus, so I wrote out some things to keep me motivated during the project. 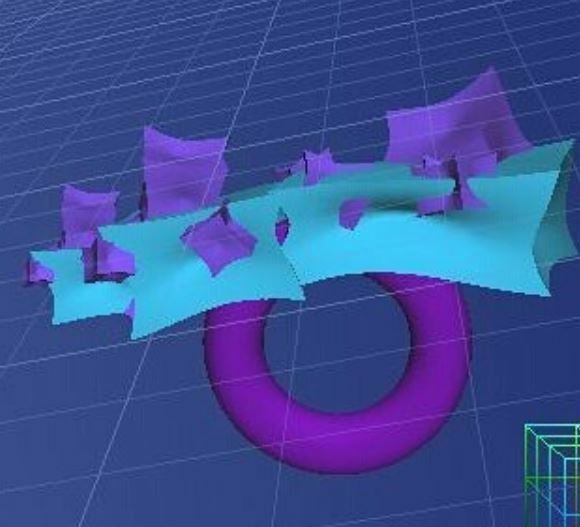 During the project I challenged myself to design a ring each day (well most days), by drawing in my sketch book and/or designing on my Cloud 9, 3D printing software. 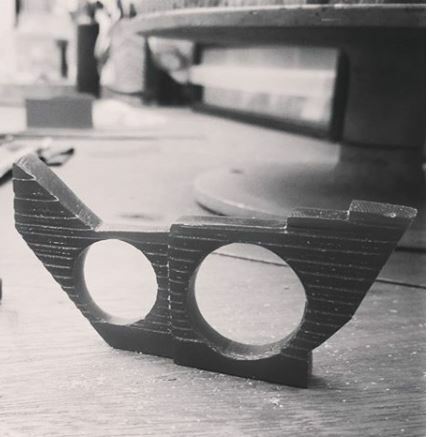 I wasn’t focusing on making a ring every single day, but as long as I was allowing myself to have fun designing one, I was doing well. 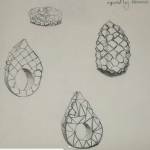 Some of the days I chose to make a few of the pieces that I had designed by carving them out of wax to make sculptural pieces and bring them to life. Carving the pieces sparked more ideas and designs. One of the projects I had been wanting to do for ages was to design jewellery inspired by the Kengo Kuma’s stunning, V&A Dundee Design Museum that is due to open on 15th September. 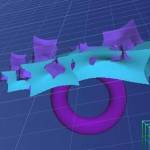 So I used the fun a day project to experiment with ideas for a statement ring. To see all of the pieces that I designed head to my Genna Design instagram page . I found the project both challenging and fun as it allowed me to get back into designing statement pieces that I’ve wanted to design for ages. It also helped me connect with other artists who were taking part in the project and it was a great way of building up each others confidence as you could comment on each others projects and encourage people to keep going with it. To see what other people did during the project search for #FunADayDundee2018 on instagram or follow @FADdundee. There is a lot of amazing work. More information about the project- The project is not just for artists. Over the years, Fun A Day has expanded to include anyone and everyone making this project their own. Families shared their projects, children created their own fun, people who consider themselves to be ‘unskilled’ took part, students, artists, all ages, and all from a variety of occupations and backgrounds made the project their own. The originators of Fun a Day are the Artclash collective in Philadelphia, so you can join people from Baltimore, Boston, Philadelphia, Portland, LA and New York in this Fun a Day Challenge! Morgan Cahn brought Fun A Day to Dundee in 2011, and over time has picked up passionate participants to run the event year after year who help the project continue to thrive in Dundee. Taken from the Fun A Day blog. The project sparked my creativity and love for design again, that I designed other pieces, other than just rings. So watch this space as I will be launching a new collection later in the year. It also helped with my motivation, mental health and stopped me feeling so isolated as I was following what other people were doing in the project. I was quite exciting to see what people would come up with each day. I definitely recommend having a little bit of fun for yourself each day. Even if it’s just 5 minutes. You’ll feel so much better for it and you don’t know what creativity will come out of it. There will be an exhibition with various artists who took part in the Fun A Day Project with opening night on 7pm on Friday 13th April with live music from Ed Muirhead; a participant and musician, and runs over the weekend from 10am – 7pm Saturday 14th and Sunday 15th April. We will also have our usual sweetie pick n mix! And hope you get the chance to pop in too.